Hi guys, New video from the album out - this time it's Final Fantasy IX! Hope you guys enjoy. Thanks I plan to release another video before the end of the year! In the meantime please check out the albums soundcloud - you can see all previews from the album. If anyone has a preference of which track they'd like to see a video for, please let me know! OCR03166 - Final Fantasy Tactics "Finding Somebody to Love in This Meager World"
It's pretty great! Didn't think to use a 12-string guitar but it actually works quite well given Sakimoto's layered, complex scores for his FF stuff. If it's ok I'll send this piece to him when I get a chance. Thanks! If you're into piano then you should check out Casey's other albums - the FFXII piano album and Valkyria Chronicles piano pieces. They were all edited together from multiple takes. Could you tell? We recorded the whole album in 12 hours (over 2 days). I'd like to introduce everyone to our new album Legacy Sessions: GAME Generation 5, a new album featuring classic melodies from the Nintendo 64 and PlayStation era, arranged and performed live by professional studio musicians. Please see the info below, and if you like the album please help spread the word because we'd like to make more of these from other gaming generations! Follow Legacy Sessions on Twitter and Facebook, and visit the official website for future announcements and music video releases. --------------------------------------------------------------------------------------------------------------------------------------------------------------------------------- Lead arranger Casey Ormond--best known for his arrangements and performances on Piano Collections: Final Fantasy XII and Valkyria Chronicles Piano Pieces--leads a team of talented arrangers and musicians as they revisit several of the most memorable melodies from the 32-bit era including tributes to Final Fantasy VII, Castlevania: Symphony of the Night, Super Mario 64, and more. The album is fully licensed and available now for $12 via Loudr: Legacy Sessions: GAME Generation 5 on Loudr The album is additionally available from iTunes, Amazon, and Google Play. 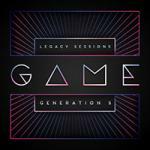 The full track list for Legacy Sessions: GAME Generation 5: 01. Final Fantasy VII 02. The Curse of Monkey Island & Grim Fandango 03. Super Mario 64 & The Legend of Zelda: Ocarina of Time 04. Pokémon (Blue, Red, Yellow) 05. Super Mario 64 06. Chrono Cross 07. Castlevania: Symphony of the Night 08. Silent Hill 09. Final Fantasy Tactics 10. Final Fantasy IX 11. Metal Gear Solid 12. Grandia (ft. With Ether) "My goal as an arranger is to do more than just stir up nostalgia," reflects lead arranger Casey Ormond. "Instead, I focus on experimenting with and combining iconic themes to spark the listeners' imagination, creating new thematic and musical narratives. This is a method that I have refined through my piano works--Piano Collections FINAL FANTASY XII and Valkyria Chronicles Piano Pieces--and I hope that you enjoy discovering and rediscovering the classic music of the fifth generation of consoles!" Additional arrangers include lead Valkyria Chronicles orchestrator Nicole Brady, Tristan Coelho, and guitar duo With Ether, who have recorded an energetic medley from Grandia. The production of Legacy Sessions: GAME Generation 5 has been headed by producer Demetri Potiris, who has worked with both the Eminence Symphony Orchestra and the renowned sound studio of Hitoshi Sakimoto, Basiscape. His experience producing live game music events and recording sessions for original soundtracks like the Tactics Ogre remake, Tekken 6, and the Valkyria Chronicles series sparked his desire to produce Legacy Sessions, which has been planned as a series that will explore other gaming generations, including the 8-bit and 16-bit eras. If you have any questions or comments on the album, it's production or game music in general, please let us know here! legacysessions replied to legacysessions's topic in Post Your Game ReMixes! Ah thanks! I'm going to put a post about the whole album in the community section then. Hope everyone can enjoy this! We've been wanting to tribute not just this game, but many from the same generation (1995-2000). Please check out our album for more pieces at http://legacy-sessions.com A Tribute to Final Fantasy VII (Legacy Sessions: GAME Generation 5): Arrangement by Casey Ormond (official FFXII Piano Collections, Valkyria Chronicles Piano Pieces) Co-created by Demetri Potiris (production co-ordinator for Valkyria Chronicles, Tekken 6, Tactics Ogre remake live recordings, as well as Casey's albums) Any questions or comments you have are most welcome! Demetri will answer any production questions, Casey will answer any arrangement questions.